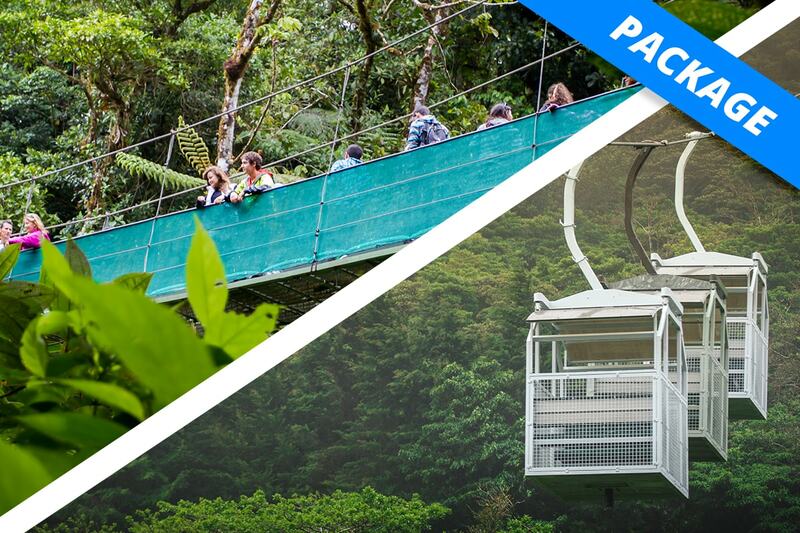 The Sky Tram gondolas rise smoothly through the Cloud Forest, offering up endless views. This tour is perfect for people who want to take a different approach on admiring nature, and be on spot where natures exhibits all its magic. On tour, you will be attended by a bilingual guide who will point out distinctive characteristics of the flora and fauna and other interesting facts of the area. You will then arrive at a wide observation platform on the highest point of the reserve, where you can enjoy the breathtaking views of the surrounding forests, the Arenal Volcano on one horizon, the gulf of Nicoya at the other. Certified Naturalist Guides will accompany you on all tours. Discover the forest from ground and heights on dif. tours. Exclusive viewpoint on the highest point of the mountain. Exclusive tramway on Monteverde, the best way to discover Monteverde.